Ransomware stops you from using your PC. It holds your PC or files for “ransom”. This page describes what ransomware is and what it does, and provides advice on how to prevent and recover from Ransomware infections. May 12th, 2017 saw the biggest ever cyber attack in Internet history (yes, bigger than the Dyn DDoS). 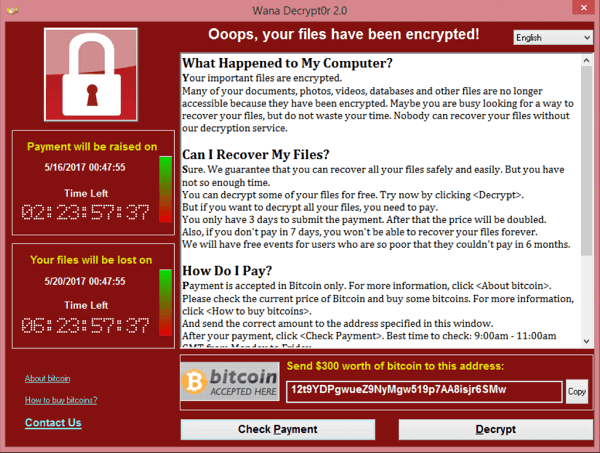 A Ransomware named WannaCry stormed through the web, with the damage epicenter being in Europe. wanna cry leveraged a vulnerability in Windows OS, first discovered by the NSA, and then publicly revealed to the world by the Shadow Brokers. In the first few hours, 200,000 machines were infected. Big organizations such as Renault or the NHS were struck and crippled by the attack. Ransomware has been a growing trend for the past two years, and this is just a culmination, a grand reveal to the wider world of just how big of a threat it is. But we’ve been writing about this for a while now. Some locker versions infect the Master Boot Record (MBR). The MBR is the section of a PC’s hard drive which enables the operating system to boot up. When MBR ransomware strikes, the boot process can’t complete as usual and prompts a ransom note to be displayed on the screen. Examples include Satana and Petya families. Crypto- Ransomware, as encryptors are usually known, are the most widespread ones, and also the subject of this article. The cybersecurity community agrees that this is the most prominent and worrisome cyber threat of the moment. 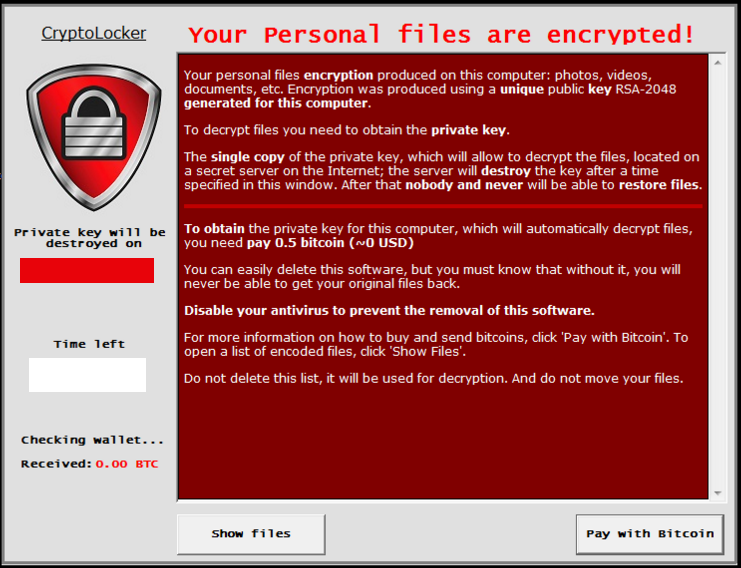 Ransomware will demand that you pay money (a “ransom”) to get access to your PC or files. We have also seen them make you complete surveys. There is no guarantee that paying the fine or doing what the ransomware tells you will give access to your PC or files again. It frequently features data exfiltration capabilities, which means that it can also extract data from the affected computer (usernames, passwords, email addresses, etc.) and send it to a server controlled by cybercriminals; encrypting files isn’t always the endgame. Because cybercriminals know that business would rather not report an infection for fear or legal consequences and brand damage. Because successfully attacking public institutions feeds the cybercriminals’ egos (they may want money above all else, but they won’t hesitate to reinforce their position in the community about attacking a high-profile target). The downloader uses a list of domains or C&C servers controlled by cybercriminals to download the ransomware program on the system. It employs domain shadowing to conceal exploits and hide the communication between the downloader (payload) and the servers controlled by cybercriminals. backups your data: on an external hard drive and in the cloud – Dropbox/Google Drive/etc. I have removed the following plugins from my browsers: Adobe Flash, Adobe Reader, Java, and Silverlight. If I absolutely have to use them, I set the browser to ask me if I want to activate these plugins when needed. I have adjusted my browsers’ security and privacy settings for increased protection.